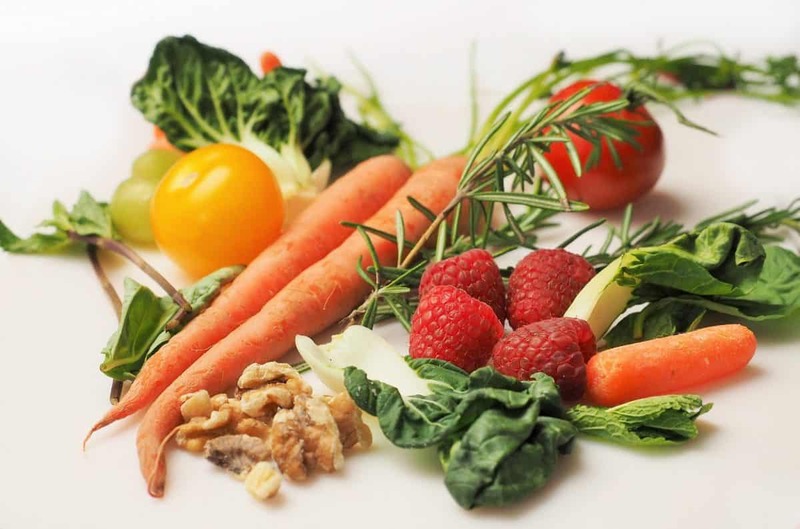 Plant-based diets have become increasingly popular in recent times for very obvious reasons. They have been found to be healthy, ethical and effective for weight loss for people who engage in regular workouts. If you are being tempted to go vegan like most people are, it is important you do your research well before you begin to know what will work best for you and what will not. Vegans are like vegetarians, they do not eat fish, meat or poultry products. However, vegans differ from vegetarians in that they take the whole thing a step further by excluding all animal products such as eggs, diaries, etc, from their diet. If you have chosen to stick to a vegan diet that means you will no longer eat margarine or anything that contains gelatin, which is extracted from the hooves and bones of animals. You will be limited to food options such as seeds, nuts, whole grains, leafy greens, fruits, and vegetables (4). However, it is entirely up to you to decide how best to shape your own vegan diet. But whichever way you choose to shape it, your aim should be 6 servings of grains (from calcium-fortified cereals or grains); 5 servings of legumes, nuts as well as every other type of protein, like tofu, peanut butter, chickpeas, soy milk, potatoes; your daily serving of vegetables, 2 servings of fruits and 2 servings of healthy fats from fat sources like sesame oil, coconut, avocado, etc (5, 7). Also, you do not have to give up your favorite dessert: As a vegan, you can retain your cupcakes, cobbler or any other baked food that do not contain eggs or butter. A lot of people jump straight into the vegan lifestyle thinking it can help them become healthier and lose some weights. A good vegan diet will no doubt help you maintain a healthy weight and heart. It is, however, important you still watch what makes up your vegan diet and how they affect your overall health. Not all vegan foods passed through the same preparation processes. Most vegan foods come loaded with artificial ingredients like preservatives and flavors. This means some vegan diets such as cheese, dairy-free ice creams, etc, may not be doing you much good (9). You can easily find some meatless chicken and veggie burgers with a long list of ingredients that you are not familiar with. It is always a good practice to first check the ingredients and the nutritional values of the content on the label before you purchase any over-the-counter vegan diet meal. Once you find any unfamiliar ingredients, simply ditch the product (7, 9). Every plant-based diet is known to be typically healthy. Grains, fruits, vegetables, and beans all contribute vitamins, nutrients and all the fiber needed in a healthy diet. There are several processed vegan foods and meat substitutes out there that come loaded with unhealthy additives and preservatives. Instead of going for such fake vegan foods, you can take advantage of the vegan diet plan to consume whole foods loaded with nutrients. You can become a little bit creative about your starchy vegetables and plant-based protein sources. You can swap the meat replacement options in your vegan meals with mushrooms, jackfruits, cauliflowers, lentils, or potatoes. Make sure you reduce the quantity of packaged foods you purchase when doing your groceries. Foods like beans, oats, and rice, are, of course, exceptions to this particular rule (7). A number of new vegans believe they have very limited options when they eat out. As a beginner, inadequate animal products in your diet can keep your energy levels low. However, you don’t have to limit yourself to consuming vegetables alone. While vegetables should play key roles, there are a lot more you can eat. As a matter of fact, consuming only vegetables and raw fruits will only result in very low daily calorie intakes (8). It is a myth that every vegan suffers some kind of protein deficiency. The amount of vegetables you consume daily is enough to take care of your daily protein needs. In case you never knew, vegetables contain loads of protein. When you sum up the protein you get from your vegetables and the one you get from plant-based foods, you would end up with more than enough proteins to cater for your protein needs. Some vegetables you can rely on for protein include broccoli and steak while some plant sources include beans, soybeans, chickpeas, quinoa, edamame (7, 8). However, most vegans focus on the protein content of their vegan diets and neglect the importance of getting adequate healthy fats. Your body cannot absorb any of these nutrients you eat without adequate fats. Avoiding healthy fats will do you no good. Always make sure you include good sources of healthy fats like avocados, olive oil, almonds, and tofu in your diet. Even if you were not on a vegan diet, drinking enough water is one thing you should do to stay healthy. It becomes even more important when you are on a diet high in fiber content, like the vegan diet. The average plant and meat eater consumes about 27g of fiber daily while the average vegan dieter consumes about 42g of fiber per day (7, 8). The digestive system cannot function at its peak without enough water in your bowels. Taking enough water as a vegan will help move the fiber through your digestive tract. Also, adequate water in your system helps prevent constipation and bloating. Always spread your water intake to different times of the day to keep you hydrated and keep digestion running smoothly. Every vegan is known to avoid any food derived from animals for reasons ranging from health to ethical to environmental. Incidentally, following a plant-based diet plan can put you at a higher risk of experiencing some serious nutrient deficiency. This is most probable when you fail to plan your vegan diet well enough. If you want to stay healthy as a vegan, consuming diets rich in nutrient loaded with fortified foods and whole grains is of utmost importance. Let’s look at some food groups you should make a part of your vegan diet plan. Vegans, over the years, have been known to avoid all traditional sources of iron and protein such as poultry, meat, eggs, and fish. This they say is an effort to discourage every form of animal cruelty. Due to this, replacing these animal sources of protein and iron with available plant alternatives such as legumes is very important. Lentils, peas, and beans are some great sources of plant-based protein that can contain between 10-20g of protein per cup (7). These legumes also contain fiber, iron, folate, slowly digested carbs, zinc, manganese, antioxidants and some other plant compounds that can promote health (7). Nuts, seeds and other food products derived from them can help you get the proteins you miss from the animal products. Every 28g serving of seeds or nuts can supply 5-12g of protein to your body (7). This explains why they are considered very viable alternatives to protein-rich animal sources. Also, these seeds and nuts are great sources of fiber, iron, magnesium, selenium, zinc, and vitamin E (7). These seeds and nuts are also good sources of antioxidants and other great plant compounds. Seeds and nuts are so versatile that you can either take them alone or work them into appealing vegan recipes such as desserts, sauces, cheeses, etc. Cashew cheese is one very delicious option (7). These three seeds have special nutrient profiles that deserve to be highlighted separately from the previous category. Every 28g of hemp seeds will give you 9 g of the whole, easily digestible protein (7). This accounts for about 50% more than the protein content of most other seeds (6). These nuts come with other nutrients such as the Omega-3 and Omega-6 oils, healthy fats (7). These nutrients come with other health benefits such as easing premenstrual pains, reducing inflammation and managing certain skin problems. In addition to all these, both flaxseeds and chia are unbelievably loaded with lots of health benefits. These seeds are equally great alternatives for eggs in baking. Tofu is a minimally processed meat substitute derived from soybeans. It is a good source of calcium and iron in addition to the 16-19g or proteins found in every 100g (1, 2). Tofu is gotten from pressed soybean curds and has become one of the most popular replacements for meat (3). Tofu can be grilled or scrambled. It can also be a great alternative to egg in recipes like frittatas, quiches, and omelets (3). It is good to point out that some processed mock meats, such as vegan chicken fillets and vegan burgers come loaded with lots of additives and must be taken sparingly. Vegans are known to consume far less calcium per day than the average meat eater, and this can have very negative effects on their bones. This becomes a serious issue if the calcium intake falls as low as below 525 mg per day (1, 2). This is why it is recommended you make calcium-fortified plant yogurts and milk part of your daily vegan diet plan. If you want to increase your daily protein intake, you should go for milk and yogurts made from hemp or soy. Almond, coconut, rice and oat milk are very lower-protein alternatives. Also, these calcium-fortified yogurts and milk always come fortified with vitamin D, which is known to aid calcium absorption. Some brands of these fortified plant yogurts and milk come with vitamin B12 (2). Therefore, as a vegan hoping to reach your daily calcium, vitamin D and vitamin B12 intakes, it is important you make these fortified milk and yogurts part of your diet (2). Make sure you always go for the unsweetened versions. Seaweed is popular for its high DHA content. DHA is a very essential fatty acid with several health benefits. Algae like chlorella and spirulina are some other great protein sources (7). Only 2 tablespoons of these will supply your body with about 8g of protein (8). Additionally, seaweed contains riboflavin, magnesium, manganese, iodine, potassium, and antioxidants. Iodine is popular for its crucial role in promoting your body metabolic processes and enhancing the functioning of your thyroid gland. Taking several servings of seaweed every week will help you meet your daily recommended iodine intake. Some seaweed like kelp is known to contain more iodine than others and should be consumed more. Species like spirulina contain a very small amount of iodine. Nutritional yeast comes from a deactivated strain of Saccharomyces cerevisiae yeast. It can come in the form of flakes or yellow powder in most health stores and supermarkets. Every 28g of nutritional yeast contains about 14g of protein and 7g of fiber (8). Additionally, nutritional yeast can be a very practical way vegans can reach their vitamin B12 daily recommendations (8). Most plant foods are known to contain a large number of antinutrients. These antinutrients can minimize your body’s ability to take up the minerals these plant foods contain. Fermenting and sprouting are very simple and time-tested methods through which you can reduce the number of antinutrients contained in these plant foods. Sprouting is also known to help reduce the quantity of gluten contained in some grains. These fermented plant foods also contain probiotic bacteria, which are great for improving your digestive health and enhancing immune function (7). Whole grains, cereals, and pseudocereals are great sources of complex carbohydrates, iron, fiber, magnesium, zinc, phosphorus, selenium, and B vitamins (6). When it comes to protein content, some species of these cereals are more nutritious than others. Choline has been found to be very effective for your liver, brain and nervous system. Your body can produce choline, but the amount produced by your body is never enough. This is why it is important you take diets that are rich in choline to help you complement the amount your body synthesizes (10). This choline can be found in small quantities in fruits and vegetables, legumes, grains and nuts. Some plant foods with the highest choline content include broccoli, quinoa, cauliflower, tofu, soymilk, etc (10). Many vegans rely on mock meats as replacements for their favorite animal foods. However, these mock meats are very unhealthy and over processed. Fortunately, there are several vegetable and fruits replacements for your favorite meals to meet your daily vitamins and minerals requirements. For example, mashed banana can be a very good substitute for eggs during baking (1). You can also use a banana ice cream to replace your favorite diary-based ice creams. Mushrooms and eggplants are your surest way to get a meaty texture in a vegetable form. These eggplants and mushrooms come with the advantage of being easy to grill. You should also aim to improve your calcium and iron intakes by eating more leafy greens, kale, spinach, watercress, mustard greens, blackcurrants, artichokes, greens, broccoli, and turnip greens. You can go for the popular beyond meat sausage instead of your favorite pork sausage. You can go for chickpea salad instead of chicken or tuna salad. You can go for pulled jackfruit instead of the common pulled pork. You can also find some store-bought meat substitutes, store-bought chicken substitutes, and store-bought vegan jerky. The vegan diet can be a healthy diet plan if you eat the right foods in the right proportions. The key here is to always ensure you eat many different plant-based foods in the right quantity to achieve your daily energy and nutrient requirements.